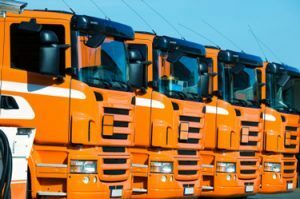 In the transportation business, or any company that manages a fleet of vehicles, fuel is one of the most important considerations. A commercial fueling company can take care of your fueling needs with a simple delivery. Having fuel brought directly to your business can be convenient, as long as you have a reliable supplier. There are many benefits to commercial fleet fueling in Greensboro. Convenience. You can’t beat the convenience of having fuel brought directly to your vehicles. It saves your drivers extra trips to the pump and eliminates the need for onsite fuel tanks. Using one fuel supplier for all of your fueling needs means a lot less work for everyone. Saves money. When you have one fuel supplier, you benefit from the competitive fuel prices they offer. A supplier has to remain competitive with other fuel companies in order to keep your business. Fuel brought directly to your fleet means you save the fuel and mileage that would be necessary to travel to the pump. Saves time. Imagine the amount of time that could be saved if all vehicles were fueled and ready to go at the start of the work day. When you have fuel delivered, that can be a reality for your business. With your trucks fueled and ready to go, your drivers can start their shifts on time and be more productive throughout the day. Whether you are choosing a company to supply fleet fueling in Greensboro for the first time, or if you are looking to switch, there are some things you should take into consideration. Experience. Look for a fuel company that has plenty of experience. With experience comes knowledge, reliability, and quality. You want a company that knows what they are doing, delivers on time, and provides quality fuel. Good reputation. A fuel company should have a solid client base and a good reputation. Fuel is too important to gamble on a company that may or may not provide quality fuel and reliable service. Delivery. For your convenience, choose a company that delivers. You save a lot of time and money by having fuel brought to your trucks rather than the trucks going to the fuel station. When it comes to fleet fueling in Greensboro, the obvious choice is Berico. Berico has been serving Greensboro, High Point, Eden, Burlington, and the surrounding area since 1924, providing convenient and reliable fuel delivery. When you order fuel from Berico, you can expect on-time delivery 24 hours a day, 7 days a week. We provide quality fuel at competitive prices for the area. Our many satisfied customers can vouch for our services. We understand the importance of fueling to the transportation industry and other businesses and strive to meet your needs. Schedule fuel delivery or call (336) 496-2509. For more information on fleet fueling, click here.